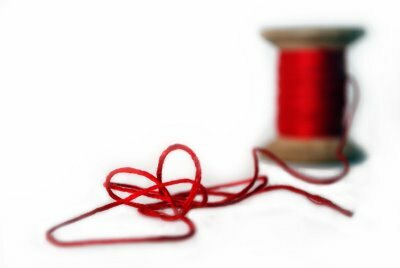 Following the Thread — Creative Twist Inc.
An event usually starts with an idea, one tiny thread that starts the ball rolling and then magically starts to collect other bits and pieces as the event begins to take shape. Sometimes the ball is rolling so fast that you loose handle on that first, all important thread. It gets jumbled up, tied in knots and buried in the snow ball. The problem is that the thread is usually deeply connected to the reason the event is happening in the first place, be it branding or a message or simply a core purpose. That reason can easily get lost in the jumble if you don't carefully FOLLOW THE THREAD. The event might be fabulous and successful in many ways, but if the thread is lost it likely didn't live up to it's full potential. If the answers are no, then it's time to take stock, clear away some of the elements and get a firmer grasp. The thread should inform all the choices you make and in the end your event will be more cohesive, your messaging will be clearer and your guest's experience will be richer. I consent to being added to the Creative Twist Inc. mailing list. Copyright 2017 Creative Twist Inc. All rights reserved.